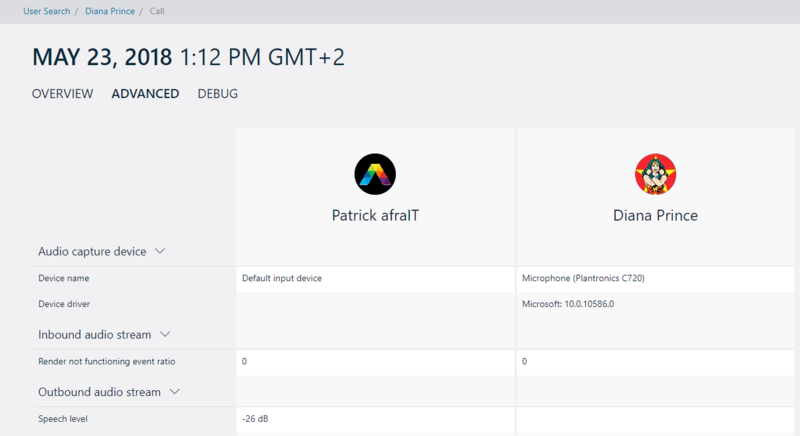 Welcome to another article in the Mastering Office 365 series. 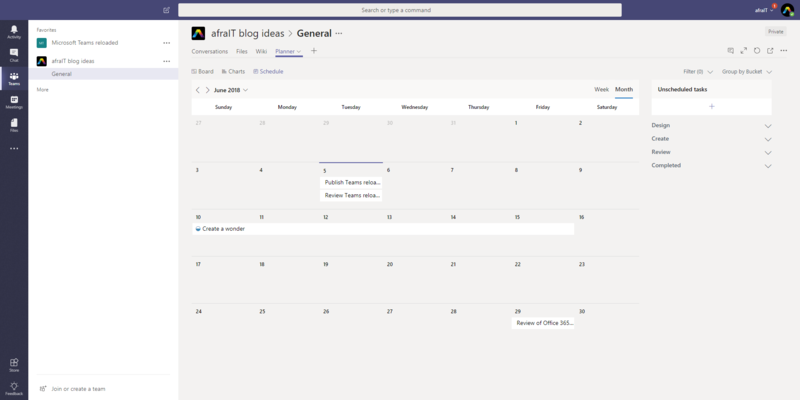 This time: Microsoft Teams reloaded, where I show you a bunch of new things in Microsoft Teams. I also have a feeling, that this will not be the last update 😉 If you want to start your digital transformation, start with yourself and check my article on that. 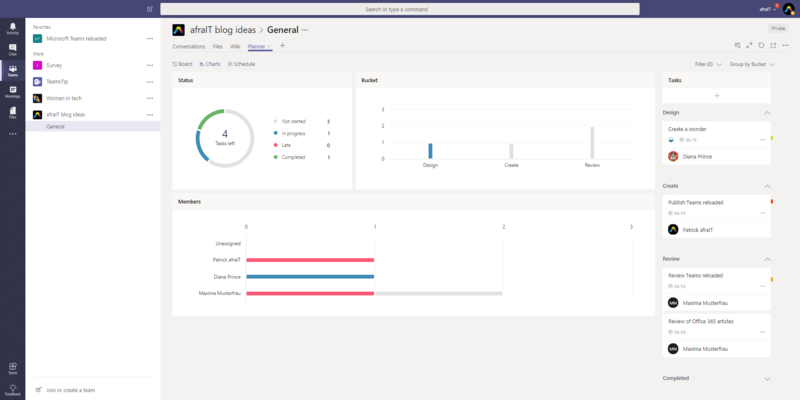 Check out the other parts of this series Mastering common challenges in Office 365 about PowerShell, OneDrive, SharePoint, SharePoint Hub Sites the first original article about Microsoft Teams and my latest article about Microsoft Forms. You know by now what’s next, right? The table of contents with clickable links to the sections. What is Teams and what is the hype about? Well, if you like a tool which you can’t connect that seamless to your other Microsoft tools, then yes. But who wants that? 🙂 Teams has the best integration in the Microsoft universe by far. Also quite obvious, but it has also much more to offer and the development is insanely fast! By the way, did you saw that there is a free version of Teams? Isn’t Teams a super new tool? It is, but never have I seen a product from Microsoft which is that mature in this short amount of time. 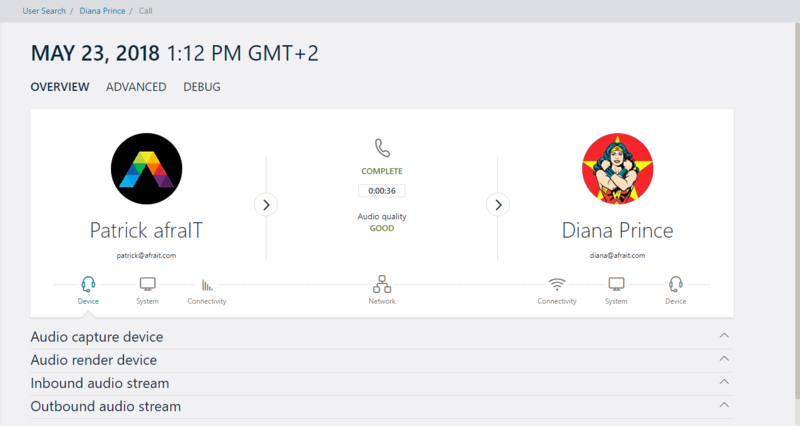 Web-browser support, desktop app, a free version, mobile app, integration, third party connectors and much more. But Teams is expensive, right? Well, yes and no. You also get the whole Office suite, OneDrive, Microsoft Forms, Flow, Stream, SharePoint, PowerApps, Sway and much more for the same price depending which pricing / plan option you choose. This is the same for Slack. Slack had one big advantage in the past, but now Microsoft Teams has that as well! A free version! So what tools is better? Hard to say… The best service for you depends a lot on which platform you use to manage your content and services. Google or Microsoft. If you’re already using Google’s G-Suite, then Slack is probably the better choice. Teams is ideal if you already have for an Office 365 subscription or mainly use Microsoft services. Also is this only my point of view. I prefer Microsoft Teams. Try to make yourself a picture of those tools if you can. There is no ultimate truth! For me the last step to be the real Slack competitor is since the 12th of July done. The Microsoft Teams free version. 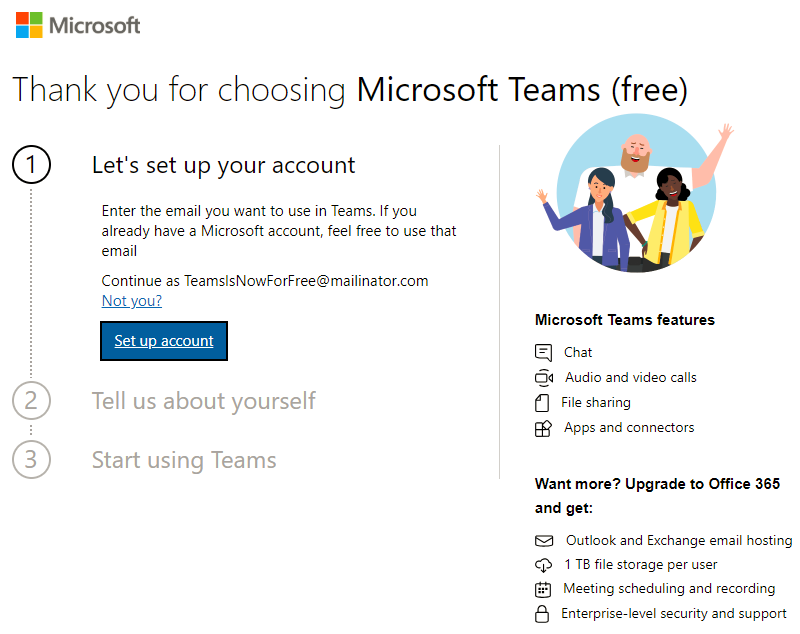 Just go to the Microsoft Teams free website, enter your email address and try it yourself. It is available in over 40 languages. Just enter your email address (I used a dummy) and click on Sign up for free. You can also check out the video on YouTube with Jeremy Chapman, Director, Microsoft 365 and Dan Stevenson, from the Teams Engineering team at the Microsoft Mechanics channel. Better late then never, right? 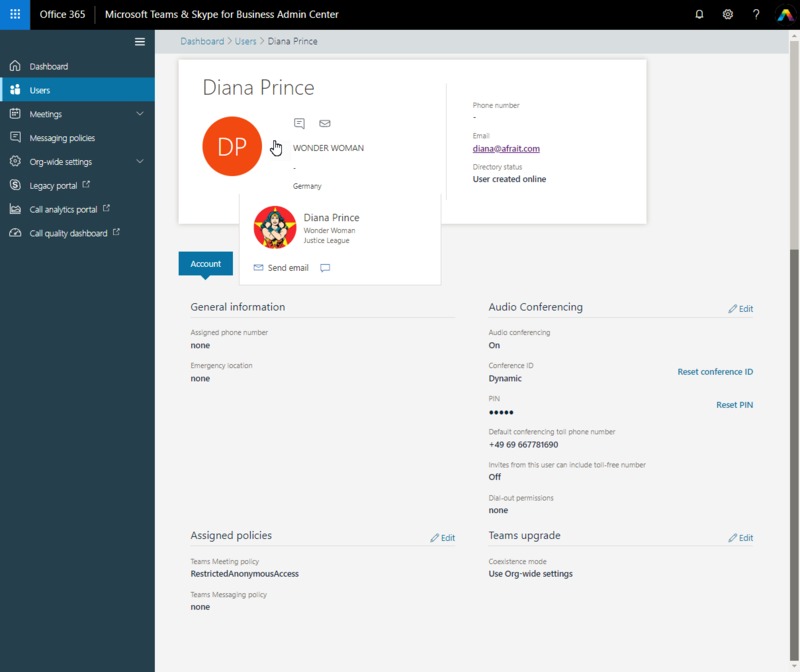 It took some time, but the new Microsoft Teams & Skype for Business Admin Center is now available. 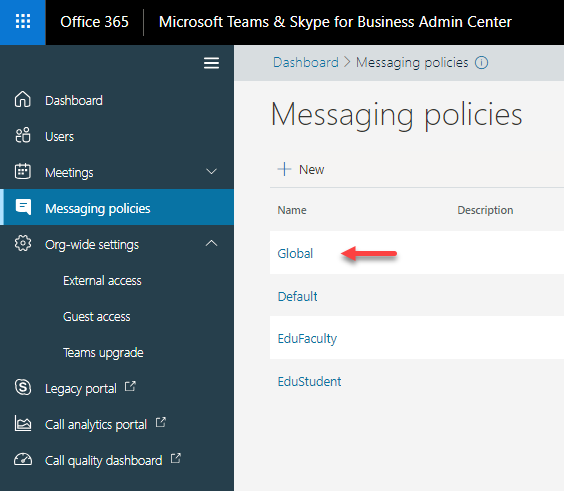 To access the new admin center log in as you global administrator and go to Settings (1), Services & add-ins (2), Microsoft Teams (3) and click on the link in the yellow box (4). If you don’t have that yellow notification box you can still try to access the admin center directly with the link https://admin.teams.microsoft.com. Maybe that will work for you. I also now have a direct link in my admin center section. The Dashboard isn’t that big of a deal yet, but there is so much room for other information, that I think, that there will be some new things in the future! If you click in the dashboard View Users or you click on the left hand side on Users, there is already more to explore. You can filter and choose the columns you want to display in this view. Just click ion those icons on the right side. Hopefully we can create views in the future. You can also edit a specific user by selecting the user and than click on Edit in the top left. You get than a bunch of information of the user. General information, Assigned policies, Audio Conferencing and more. The next thing I like is the Messaging policies and the Org-wide settings. You can change policies and assign them to specific users. Pretty handy. Also the org-wide settings. Directly managing the settings inside the admin center makes total sense to me. 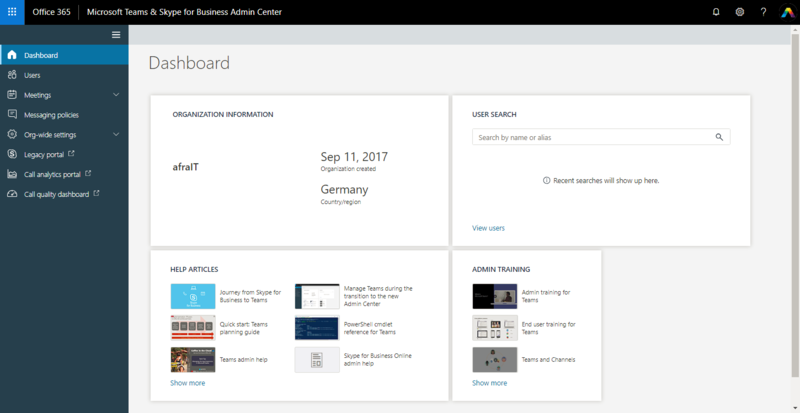 In the past they where under the Office 3665 Admin Center, Settings, Services & add-ins, Microsoft Teams and then within that panel. 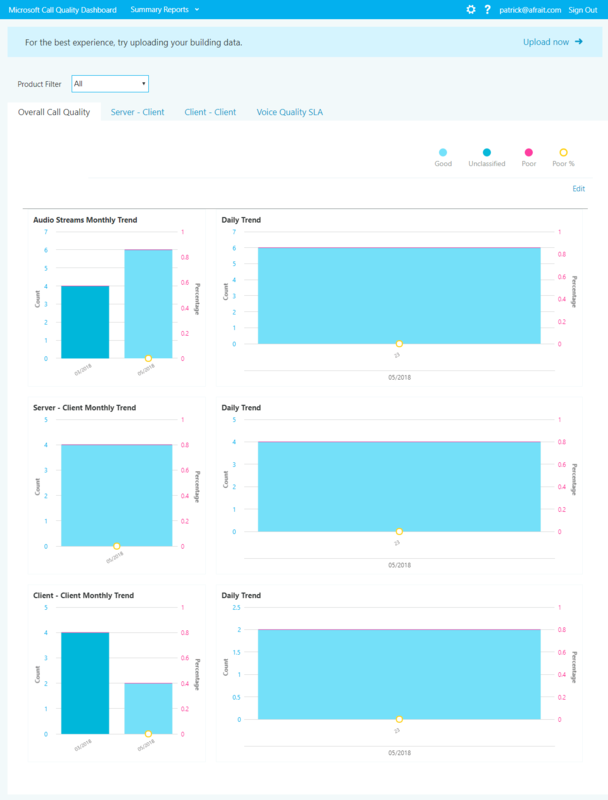 The Call quality dashboard is a little bit old-school (check the URL 🙂 ), but I offers now also great information about Microsoft Teams, so this is the right direction, no doubt! 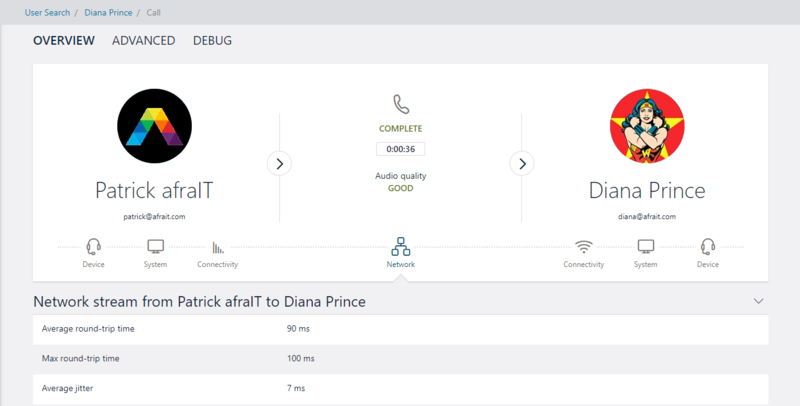 You can go to DEBUG or in the overview onto Network, or Connectivity, or System… I think you know how I feel about this. This is great! Try it, I think you will like it as well! 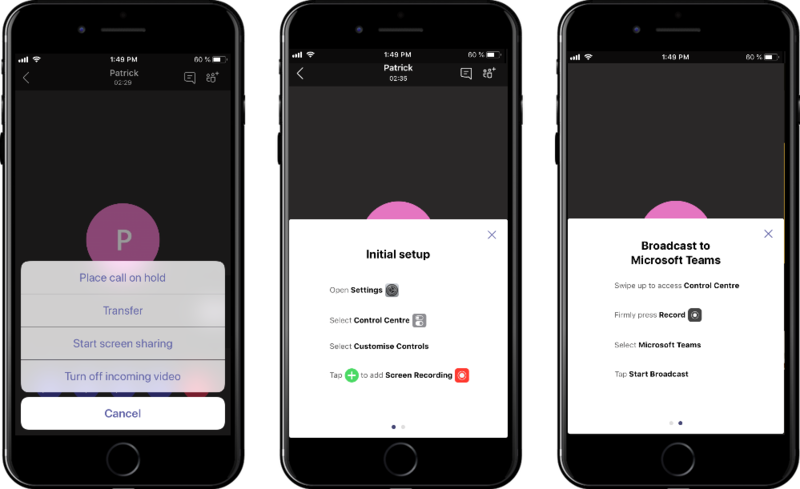 The mobile world is changing as fast as Microsoft Teams itself, so nothing new, that there are also a bunch of new cool features. In this article I will focus on switching between accounts on mobile + the new Join a Call of Meeting and share from you mobile device. If you are working with another company, partner etc. together in a team, it is now pretty easy to switch teams or tenants. When you first start your Teams mobile app you will get the first screen below where you can decide if you want to get notified if something is “new”. If you have only one account you menu will look like in picture in the middle and if you have an guest account in another tenant you will get the section Your accounts and an indicator for that. If you want to switch accounts, just select another account in the menu and you will get logged in. With the latest Microsoft Teams mobile update you can now easily join a call or meeting and share content from your mobile phone. In call you click on the three dots and click on Start screen sharing. You will get a little help on how to share your content. 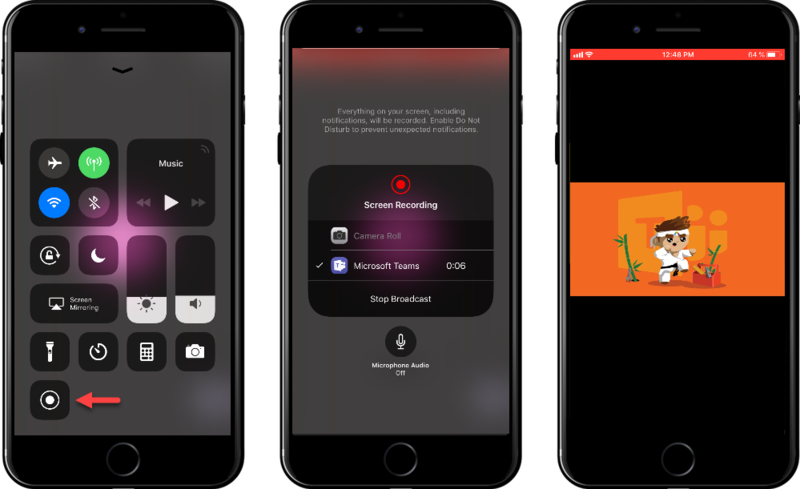 When you made sure, that the Screen Recording is available in your Control Centre, just swipe up, then force touch the record button and then select Microsoft Teams to start sharing! Pretty neat! To find out more about this you should check the official article from Microsoft. Since beginning of May you can also send a direct message to a person. This is also pretty easy by just @-mentioning the name and start typing. To be honest, I don’t use the command box that often. It just doesn’t fit into my normal working style. Maybe I have to force myself to use it more often and to see the real benefit. If you are interested to learn more about the capabilities of the command box you should definitely check out the article Use commands in Teams. Go to AppSource to see it yourself. 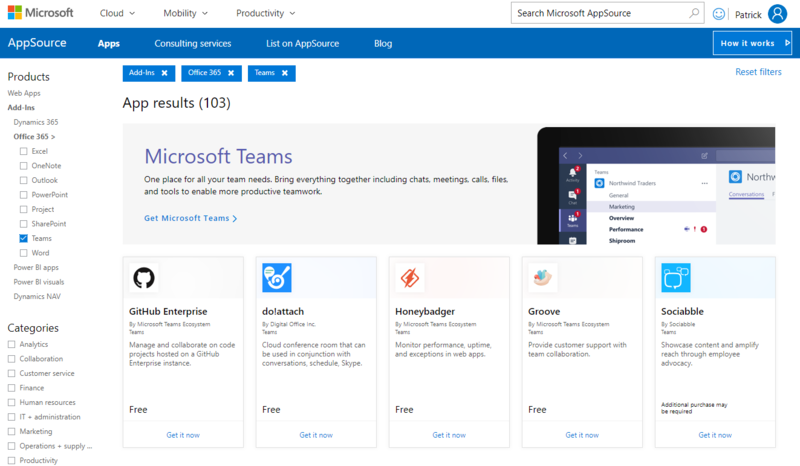 AppSource is the destination to find apps and add-ins that work with Dynamics, Office, Power BI, Azure, and more. 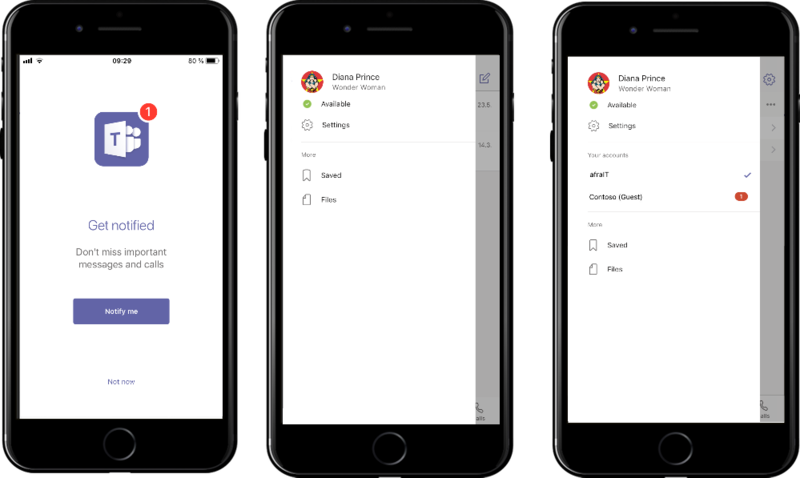 Now you can search a list of apps available for Microsoft Teams in the same place. You should check regularly for updated listings to see what you can bring into to your hub for teamwork. Planner also continues to add new features to the Teams integration. With the recent update, you can now include Schedule and Chart views in your Planner tab. June marks the one-year anniversary of Microsoft Teams in Office 365 Education! Teams is doing pretty well in the education sector from my point of view. Check out the video below to see how the University of New South Wales (UNSW) uses Teams to increase student engagement. Teams for Education is also getting new features. Now inside of Teams, Microsoft is enabling rubric criteria and skills-based grading of assignments. There are also more features coming. Archiving of Teams (and yes, Microsoft is developing this for non-education users as well), mute all students and much more. Check the article in the Education Blog and a big thanks to Microsoft for letting me share this with the community! Hope I could made you smile while you learned new things at the same time! Last but not least: Stay tuned and please be my follower on Twitter!